• TRX Home Suspension Trainer Workout anywhere with this lightweight, portable and scalable training system to earn the results you want on your schedule. • TRX Get Started Guide Set up instructions to get you started and workout cards to keep you going. • TRX Door Anchor It's easy to train at home when you set up your TRX Suspension Trainer straps on any sturdy door. 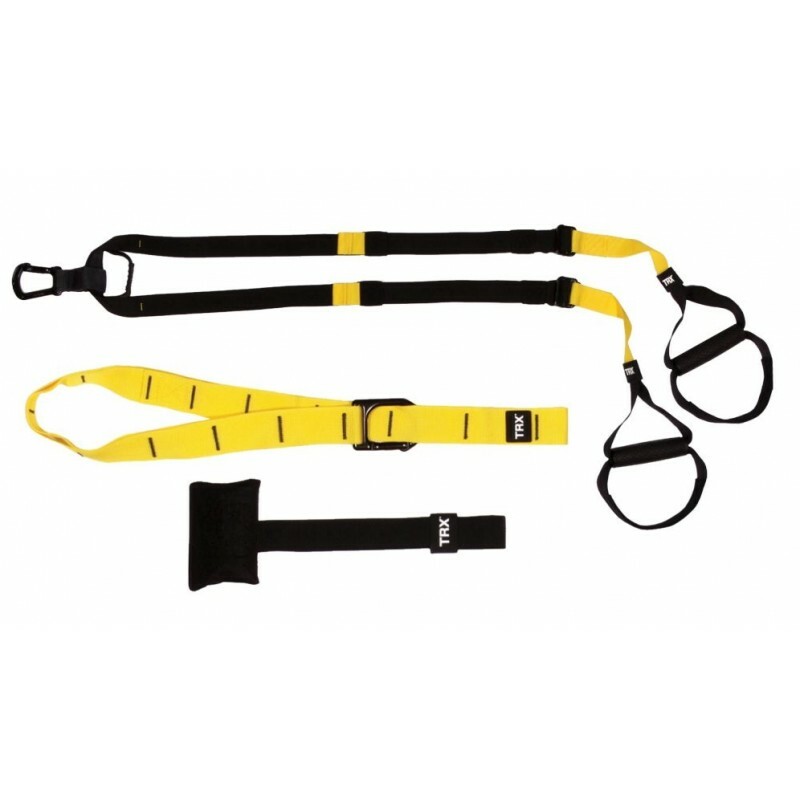 • TRX Suspension Anchor Take your training outside when you set up your TRX Suspension Trainer Straps, anywhere. • TRX Door Placard Train safe when you hang this "Workout in Progress" placard on your door. • TRX Wrist Band Show your friends how you train when you wear this TRX wristband. • TRX Mesh Carry Bag Take your TRX Suspension Trainer straps with you, anywhere, in this convenient storage bag.